I hope that the Christmas period has been good for all of you and now that everyone is back to a normal routine that the rest of winter will not be long slipping by. 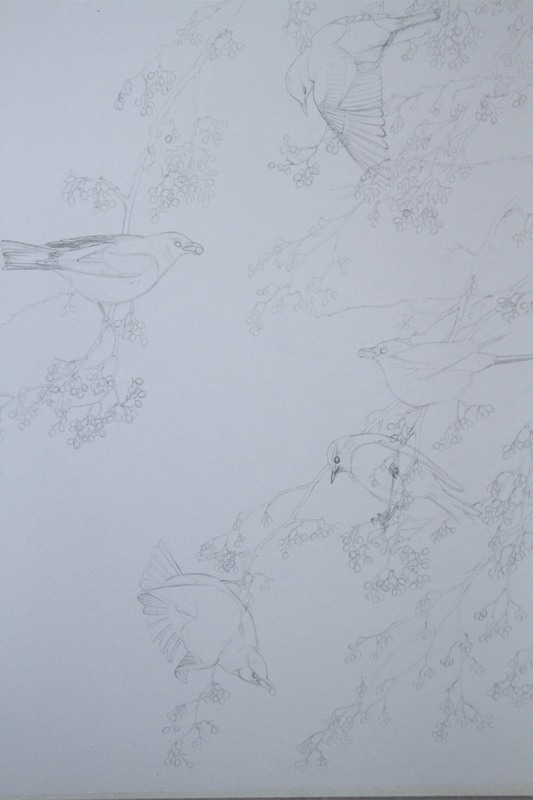 I have started a number of new works included hares and woodcock but my big challenge is a painting which features Fieldfares and Redwings gorging on whitethorn berries. It will be a lot of work so hopefully the end result will look like the image in my head! By the way the page colour looks grey instead of white. My next show is the Antiques and Fine Art Fair in Dromoland Castle, Co. Clare next Saturday and Sunday(18/19th), from 11am -6pm each day.